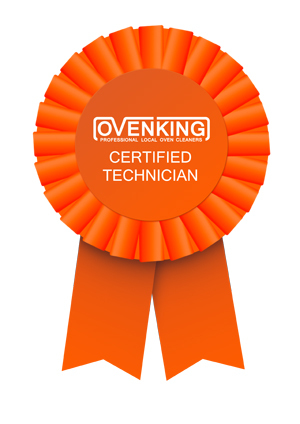 OvenKing certified technicians have all undertaken the OvenKing intensive training course which ensures they are qualified and recommended as oven cleaners by OvenKing. The training course covers subjects such as correct use of their equipment, health and safety, customer service, efficient cleaning of ovens with eco friendly products and gives cleaners practical skills and knowledge of how to clean a wide variety of models of oven and Aga. Customer’s can be sure that all OvenKing verified oven cleaners will provide the same quality of service as OvenKing have provided to their own customer’s around Dorset and Hampshire for years. Oven Cleaning Training Course Testimonials can be found clicking here.